What a Grand Garden it is! 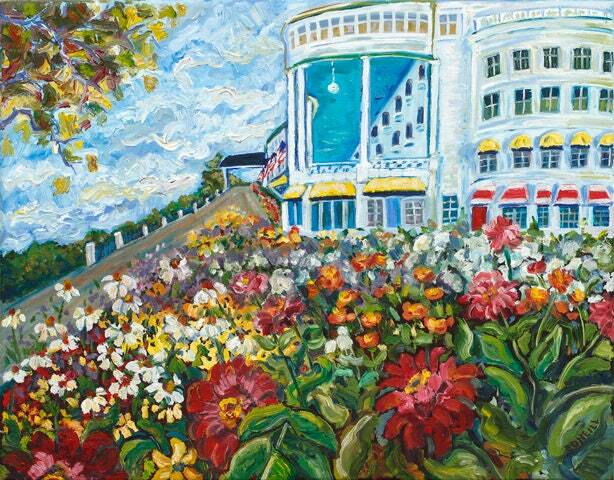 The Grand Hotel of Mackinac Island boasts blooms of perfection all summer long. More than 125,000 annuals are planted on the grounds each year - a spectacular sight to behold! This enchanted island will certainly bring you back to "somewhere in time..."
Blues, aqua, red, orange, yellow, green and white are the main colors of this piece.